After 10 months of work, over a thousand contributions by 60 or so contributors, we’ve finally released LXC 1.0! You may have followed my earlier series of blog post on LXC 1.0, well, everything I described in there is now available in a stable release which we intend to support for a long time. In the immediate future, I expect most of LXC upstream will focus on dealing with the bug reports and questions which will no doubt follow this release, then we’ll have to discuss what our goals for LXC 1.1 are and setup a longer term roadmap to LXC 2.0. But right now, I’m just happy to have LXC 1.0 out, get a lot more users to play with new technologies like unprivileged containers and play with our API in the various languages we support. This is post 10 out of 10 in the LXC 1.0 blog post series. FATAL, ALERT and CRIT are mostly unused at this time, ERROR is pretty common and so are the others except for TRACE. If you want to see all possible log entries, set the log priority to TRACE. They behave exactly like their command like counterparts. However note that if the command line options are passed, any value set in the configuration will be ignored and instead will be overridden by those passed by the user. When reporting a bug against LXC, it’s usually a good idea to attach a log of the container’s action with a logpriority of at least DEBUG. When debugging a problem using the API it’s often a good idea to try and re-implement the failing bit of code in C using liblxc directly, that helps get the binding out of the way and usually leads to cleaner stack traces and easier bug reports. It’s also useful to set lxc.loglevel to DEBUG using set_config_item on your container so you can get a log of what LXC is doing. Before digging to deep into an issue with the code you are working on, it’s usually a good idea to make sure that LXC itself is behaving as it should on your machine. To check that, run “lxc-checkconfig” and look for any missing kernel feature, if all looks good, then install (or build) the tests. In Ubuntu, those are shipped in a separate “lxc-tests” package. Most of those tests are expecting to be run on an Ubuntu system (patches welcome…) but should do fine on any distro that’s compatible with the lxc-ubuntu template. Run each of the lxc-test-* binaries as root and note any failure. Note that it’s possible that they leave some cruft behind on failure, if so, please cleanup any of those leftover containers before processing to the next test as unfortunately that cruft may cause failure by itself. If you’ve already done some work tracking down the bug, you may also directly contact us on our mailing-list (see below). We always welcome contributions and are very happy to have such an active development community around LXC (Over 60 people contributed to LXC 1.0). We don’t have many rules governing contributions, we just ask that your contributions be properly licensed and that you own the copyright on the code you are sending us (and indicate so by putting a Signed-off-by line in your commit). As for the licensing, anything which ends up in the library (liblxc) or its bindings must be LGPLv2.1+ or compatible with it and not adding any additional restriction. Standalone binaries and scripts can either be LGLPv2.1+ (the project default) or GPLv2. If unsure, LGPLv2.1+ is usually a safe bet for any new file in LXC. For more real-time discussion, you can also find a lot of LXC users and most of the developers in #lxcontainers on irc.freenode.net. So this is my final blog post before LXC 1.0 is finally released. We’re currently at rc3 with an rc4 coming a bit later today and a final release scheduled for tomorrow evening or Thursday morning. I hope you have enjoyed this blog post series and that it’ll be a useful reference for people deploying LXC 1.0. This is post 9 out of 10 in the LXC 1.0 blog post series. This post uses unprivileged containers, this isn’t an hard requirement but makes a lot of sense for GUI applications. Besides, since you followed the whole series, you have those setup anyway, right? I’ll be using Google Chrome with the Google Talk and Adobe Flash plugins as “hostile” piece of software that I do not wish to allow to run directly on my machine. Those are binaries I don’t have source for. Comes from an external (non-Ubuntu) repository which may then push anything they wish to my system. Installs a daily cronjob which will re-add said repository and GPG keys should I for some reason choose to remove them. Uses a setuid wrapper to setup their sandbox. Understandable as they switch namespaces and user namespaces aren’t widespread yet. But there’s only so much you can do while still having the cool features, so the best you can do is make sure never to run the container while doing sensitive work. So now to the actual fun. The plan is rather simple, I want a simple container, running a stable, well supported, version of Ubuntu, in there I’ll install Google Chrome and any plugin I need, then integrate it with my desktop. So those mappings basically mean that your container has 65536 uids and gids mapped to it, starting at 0 up to 65535 in the container. Those are mapped to host ids 100000 to 165535 with one exception, uid and gid 1000 isn’t translated. That trick is needed so that your user in the container can access the X socket, pulseaudio socket and DRI/snd devices just as your own user can (this saves us a whole lot of configuration on the host). Make sure the file is executable or LXC will ignore it! That script is fairly simple, it’ll simply tell pulseaudio on the host to bind /home/ubuntu/.pulse_socket in the container, checking that it’s not already setup. At this point, everything you need is installed in the container. Make sure the script is executable or the next step won’t work. This script will check if the container is running, if not, start it (and remember it did), then spawn google-chrome with the right environment set (and disabling its built-in sandbox as for some obscure reasons, it dislikes user namespaces), once google-chrome exits, the container is stopped. Don’t forget to replace USERNAME to your own username so that both paths are valid. And that’s it! You should now find a Google Chrome icon somewhere in your desktop environment (menu, dash, whatever…). Clicking on it will start Chrome which can be used pretty much as usual, when closed, the container will shutdown. You may want to setup extra symlinks or bind-mount to make it easier to access things like the Downloads folder but that really depends on what you’re using the container for. Obviously, the same process can be used for many different piece of software. Quite a few people have contacted me asking about running Skype in that same container. I won’t give you a whole step by step guide as the one for Chrome cover 99% of what you need to do for Skype. Those two should be added after the “env” in the launcher script you’ll write for Skype. And finally, yet another commonly asked one, Steam. That one actually doesn’t require anything extra in its environment, just grab the .deb, install it in the container, run an “apt-get -f install” to install any remaining dependency, create a launcher script and .desktop and you’re done. I’ve been happily playing a few games (thanks to Valve giving those to all Ubuntu and Debian developers) without any problem so far. This is post 8 out of 10 in the LXC 1.0 blog post series. The first version of liblxc was introduced in LXC 0.9 but it was very much at an experimental state. LXC 1.0 however will ship with a much more complete API, covering all of LXC’s features. We’ve actually been rebasing all of our tools (lxc-*) to using that API rather than doing direct calls to the internal functions. The API also comes with a whole set of tests which we run as part of our continuous integration setup and before distro uploads. There are also quite a few bindings for those who don’t feel like writing C, we have lua and python3 bindings in-tree upstream and there are official out-of-tree bindings for Go and ruby. It’s not necessarily the most readable API documentation ever and certainly could do with some examples, especially for the bindings, but it does cover all functions that are exported over the API. Any help improving our API documentation is very much welcome! So let’s start with a very simple example of the LXC API using C, the following example will create a new container struct called “apicontainer”, create a root filesystem using the new download template, start the container, print its state and PID number, then attempt a clean shutdown before killing it. printf("Failed to cleanly shutdown the container, forcing. fprintf(stderr, "Failed to kill the container. fprintf(stderr, "Failed to destroy the container. So as you can see, it’s not very difficult to use, most functions are fairly straightforward and error checking is pretty simple (most calls are boolean and errors are printed to stderr by LXC depending on the loglevel). As much fun as C may be, I usually like to script my containers and C isn’t really the best language for that. That’s why I wrote and maintain the official python3 binding. Now for that specific example, python3 isn’t that much simpler than the C equivalent. But what if we wanted to do something slightly more tricky, like iterating through all existing containers, start them (if they’re not already started), wait for them to have network connectivity, then run updates and shut them down? /home/stgraber/<frozen>:313: Warning: The python-lxc API isn't yet stable and may change at any point in the future. That kind of flexibility is something you’ll never get with a virtual machine and the way it’s supported through our bindings makes it easier than ever to use by anyone who wants to automate custom workloads. The above will create a base container using a downloaded image, then clone it using an overlayfs based overlay, add apache2 to it, then clone that resulting container into yet another one called “mysite”. So “mysite” is effectively an overlay clone of “web” which is itself an overlay clone of “base”. So there you go, I tried to cover most of the interesting bits of our API with the examples above, though there’s much more available, for example, I didn’t cover the snapshot API (currently restricted to system containers) outside of the specific overlayfs case above and only scratched the surface of what’s possible to do with the attach function. LXC 1.0 will release with a stable version of the API, we’ll be doing additions in the next few 1.x versions (while doing bugfix only updates to 1.0.x) and hope not to have to break the whole API for quite a while (though we’ll certainly be adding more stuff to it). This is post 7 out of 10 in the LXC 1.0 blog post series. The support of unprivileged containers is in my opinion one of the most important new features of LXC 1.0. You may remember from previous posts that I mentioned that LXC should be considered unsafe because while running in a separate namespace, uid 0 in your container is still equal to uid 0 outside of the container, meaning that if you somehow get access to any host resource through proc, sys or some random syscalls, you can potentially escape the container and then you’ll be root on the host. That’s what user namespaces were designed for and implemented. It was a multi-year effort to think them through and slowly push the hundreds of patches required into the upstream kernel, but finally with 3.12 we got to a point where we can start a full system container entirely as a user. So how do those user namespaces work? Well, simply put, each user that’s allowed to use them on the system gets assigned a range of unused uids and gids, ideally a whole 65536 of them. You can then use those uids and gids with two standard tools called newuidmap and newgidmap which will let you map any of those uids and gids to virtual uids and gids in a user namespace. The above means that I have one uid map and one gid map defined for my container which will map uids and gids 0 through 65536 in the container to uids and gids 100000 through 165536 on the host. Your user, while it can create new user namespaces in which it’ll be uid 0 and will have some of root’s privileges against resources tied to that namespace will obviously not be granted any extra privilege on the host. One such thing is creating new network devices on the host or changing bridge configuration. To workaround that, we wrote a tool called “lxc-user-nic” which is the only SETUID binary part of LXC 1.0 and which performs one simple task. It parses a configuration file and based on its content will create network devices for the user and bridge them. To prevent abuse, you can restrict the number of devices a user can request and to what bridge they may be added. This declares that the user “stgraber” is allowed up to 10 veth type devices to be created and added to the bridge called lxcbr0. Between what’s offered by the user namespace in the kernel and that setuid tool, we’ve got all that’s needed to run most distributions unprivileged. All examples and instructions I’ll be giving below are expecting that you are running a perfectly up to date version of Ubuntu 14.04 (codename trusty). That’s a pre-release of Ubuntu so you may want to run it in a VM or on a spare machine rather than upgrading your production computer. Those requirements happen to all be true of the current development release of Ubuntu as of two days ago. User namespaces come with quite a few obvious limitations. For example in a user namespace you won’t be allowed to use mknod to create a block or character device as being allowed to do so would let you access anything on the host. Same thing goes with some filesystems, you won’t for example be allowed to do loop mounts or mount an ext partition, even if you can access the block device. Those limitations while not necessarily world ending in day to day use are a big problem during the initial bootstrap of a container as tools like debootstrap, yum, … usually try to do some of those restricted actions and will fail pretty badly. Some templates may be tweaked to work and workaround such as a modified fakeroot could be used to bypass some of those limitations but the goal of the LXC project isn’t to require all of our users to be distro engineers, so we came up with a much simpler solution. I wrote a new template called “download” which instead of assembling the rootfs and configuration locally will instead contact a server which contains daily pre-built rootfs and configuration for most common templates. Those images are built from our Jenkins server using a few machines I have on my home network (a set of powerful x86 builders and a quadcore ARM board). The actual build process is pretty straightforward, a basic chroot is assembled, then the current git master is downloaded, built and the standard templates are run with the right release and architecture, the resulting rootfs is compressed, a basic config and metadata (expiry, files to template, …) is saved, the result is pulled by our main server, signed with a dedicated GPG key and published on the public web server. The client side is a simple template which contacts the server over https (the domain is also DNSSEC enabled and available over IPv6), grabs signed indexes of all the available images, checks if the requested combination of distribution, release and architecture is supported and if it is, grabs the rootfs and metadata tarballs, validates their signature and stores them in a local cache. Any container creation after that point is done using that cache until the time the cache entries expires at which point it’ll grab a new copy from the server. The template has been carefully written to work on any system that has a POSIX compliant shell with wget. gpg is recommended but can be disabled if your host doesn’t have it (at your own risks). The same template can be used against your own server, which I hope will be very useful for enterprise deployments to build templates in a central location and have them pulled by all the hosts automatically using our expiry mechanism to keep them fresh. 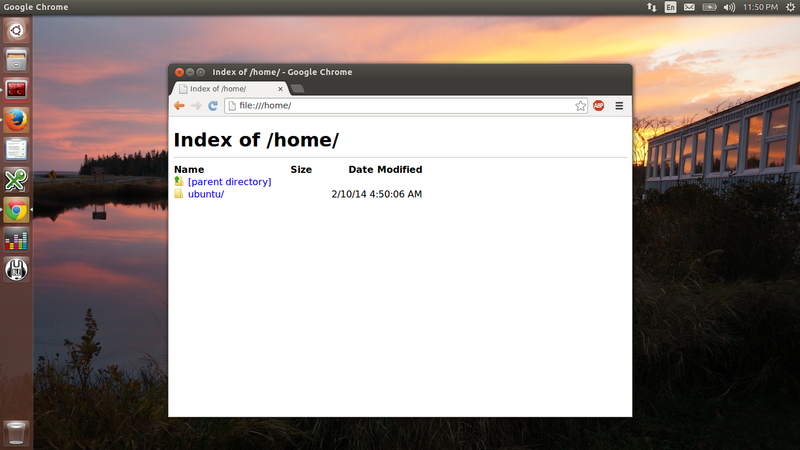 And you’ll get a new container running the latest build of Ubuntu 14.04 amd64. Right, so let’s get you started, as I already mentioned, all the instructions below have only been tested on a very recent Ubuntu 14.04 (trusty) installation. You may want to grab a daily build and run it in a VM. You just created an Ubuntu container (release=trusty, arch=amd64). To gain root privileges, please use sudo. It’s running! At this point, you can get a console using lxc-console or can SSH to it by looking for its IP in the ARP table (arp -n). One thing you probably noticed above is that the IP addresses for the container aren’t listed, that’s because unfortunately LXC currently can’t attach to an unprivileged container’s namespaces. That also means that some fields of lxc-info will be empty and that you can’t use lxc-attach. However we’re looking into ways to get that sorted in the near future. There are also a few problems with job control in the kernel and with PAM, so doing a non-detached lxc-start will probably result in a rather weird console where things like sudo will most likely fail. SSH may also fail on some distros. A patch has been sent upstream for this, but I just noticed that it doesn’t actually cover all cases and even if it did, it’s not in any released version yet. Quite a few more improvements to unprivileged containers are to come until the final 1.0 release next month and while we certainly don’t expect all workloads to be possible with unprivileged containers, it’s still a huge improvement on what we had before and a very good building block for a lot more interesting use cases.